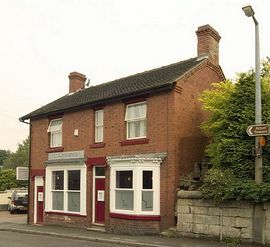 Located in the centre of Alton just 3 minutes from Alton Towers, Bank House is within easy walking distance of all the village pubs and restaurants. Alton is situated in the valley of the river Churnet which forms part of the Tissington Trail and Staffordshire Way. Sandwiched between the Staffordshire Moorlands and the Derbyshire Peak District, Alton is surrounded by areas of Outstanding Natural Beauty. There are many other leisure facilities such as Uttoxeter Racecourse and Carsington Water within easy reach. Bank House is a non smoking establishment and smoking is not permitted anywhere in the building, the accommodation comprises six double rooms and one twin room. Some of the rooms will also accommodate one child if necessary. 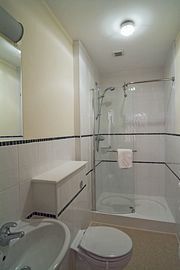 All the rooms are ensuite with mains pressure showers, LCD TVs, hair dryers, tea making facilities etc. There are two four poster bedrooms which also have whirlpool baths. All other rooms have walk in showers. We look forward to welcoming you to Bank House and hope that your visit will be the first of many. 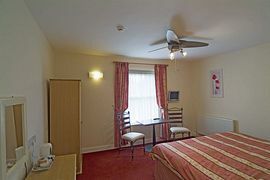 Double Room: Sunday - Thursday £35.00 per person per night. Friday and Saturday £37.50 per person per night. 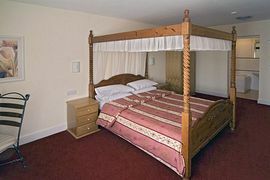 Four Poster Room: Sunday - Thursday £37.50 per person per night. Friday and Saturday £42.50 per person per night. 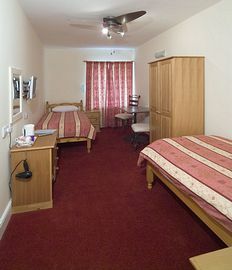 Twin Room: Sunday - Thursday £35.00 per person per night. Thank you for a beautiful stay. Food, service and accom all first class. Alton village is priviledged to have you. Well done. I have just got back from a weekend staying with you and just wanted to say how great your accom was. The room was perfect and far exceeded our expectations. Thank you for a great stay. Fully enjoyed our stay and meals. Room was lovely. We'll look forward to coming back. Thank you for a lovely stay. First class (No 1)room and restaurant. Thanks for a lovely stay. Rooms lovely, breakfast even better. We'll be back. We will definately recommend the hotel to our friends. We love the fibre optics. Thanks a lot. Lovely room, excellent food. Great weekend. Will be recommending you to friends. Thanks for your hospitality. Breakfast was amazing. Room was brilliant. Love the TV. We'll be back. Thanks to all the staff at Bank House. We have had a great stay and will come again. Thank you so much for everything - you've all been fantastic. We'll definately be back. Thanks alot. "Home from Home" made to feel welcome. Look forward to coming back next year. Thanks again. Thank you for making our 10th Wedding Anniversary special. Your B and B is superb. Had a wicked stay. Will def be back. Felt really welcome. Room was lovely. Most people arrive in the area from the M1 or the M6. In either case, Alton Towers is signposted whilst you are still on the motorway. Once you are off the motorway, you will be directed along the A50 towards Uttoxeter. Keep following the signs for Uttoxeter. As you near Uttoxeter, you will reach a roundabout where Alton Towers is signposted to the left if coming from Stoke (M6) or the right if coming from Derby (M1). This road is the B5030. Continue to follow this road and turn off to the left shortly after the JCB factory, when the signs for Alton Towers tell you to do so. You will now be on the B5032. Follow this road, past Denstone Village, to the end and turn left over the hump back bridge (still following the Alton Towers signs). This is still the B5032. After about 1 1/2 miles, you will reach the Blacksmiths Arms where you turn right into Alton Village. Bank House is 1/4 mile down this road, on the right.